The Candlemas Court met prior to the social evening with the one agenda item, to re-elect our excellent Clerk Tom Monteith to serve a further year as clerk. As can be expected, Tom was unanimously re-elected to serve a further year and duly took his oath. The evening started with the Deacon welcoming the gathered host to evening and explained the history behind the term Candlemass and its significance to the Incorporation. "The term Candlemass is very old and is one of the four Quarter Days they are: Candlemass ~ 28th February: Whitsunday ~ 28th May: Lammas ~ 28th August and Martinmass ~ 28th November. These were the times when rents fell due for payment and when leases and other payments would cease. Hence we renew the Clerk's contract at this time of year. Candlemass was also in pre-reformation times the feast time when candlelit processions took place to celebrate the presentation of Jesus to the Temple. The evening's entertainment was provided by Cameron Ross on Fiddle who is a 4th year student at the Scottish Conservatoire, studying his final year of a BA in Scottish Traditional Music. Cameron gave a superb performance which was enjoyed by all. The second artiste was Leona Evans who sang a great selection of Scottish songs unaccompanied. 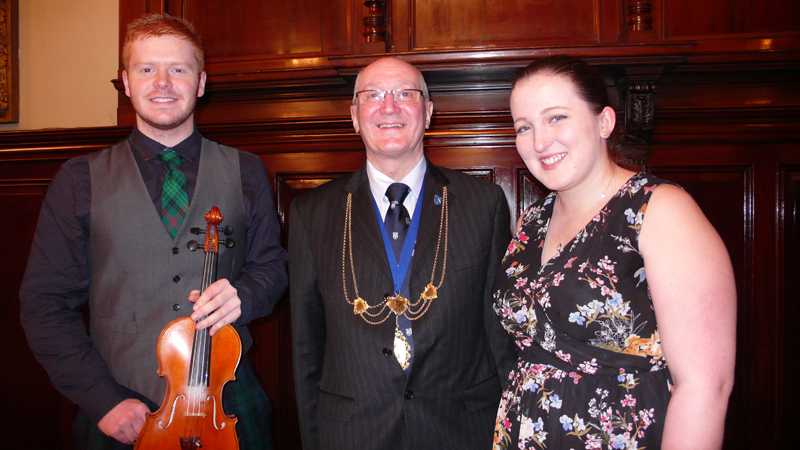 Leona is studying her third year of a BA in Scottish Traditional Music. Both young artistes gave great pleasure to all and mingled with the audience during the buffet. Immediately after the interval, the new members were invited to join the Deacon on the stage to be sworn in. 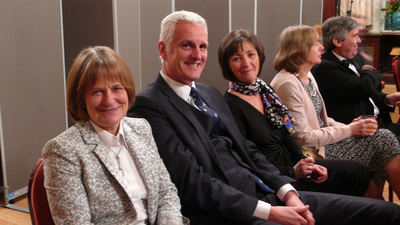 William Hackett; Mark Hendry and David Taylor received their membership certificates and Incorporation ties. James Arnold and Peter Morrison had received their certificates and ties at the Deacon's Choosing Dinner in September 2014. 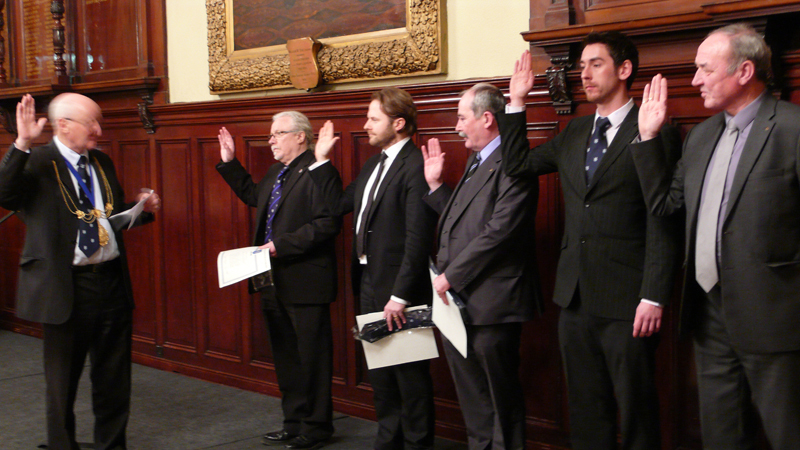 All were happy to be sworn in as members and received a resounding applause. 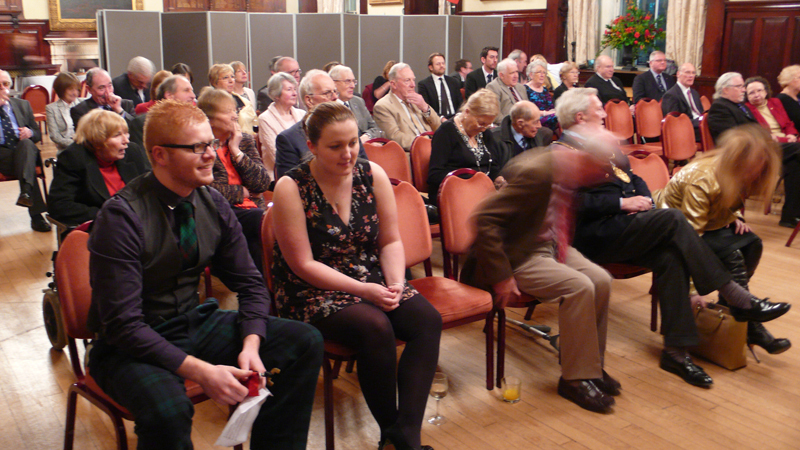 Cameron and Leona continued to entertain the audience with great music much to the delight of the audience. At the end of the evening Cameron and Leona were approached by one of the Deacons from another craft with an aim of booking them at a future event.